The most advanced gold tester in the world, the M24 precisely determines gold karat values equal to or greater than 9K, 10K, 12K, 14K, 16K, 18K, 20K, 22K, and 24K. 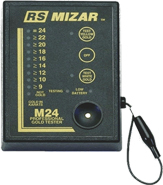 Battery operated and comes with a one year warranty. 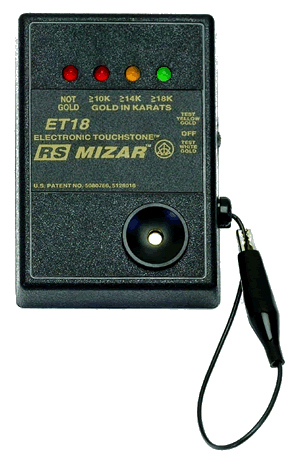 For slightly more than the cost of an acid test kit, the ET18 precisely determines gold karat values equal to or greater than 10K, 14K, and 18K. 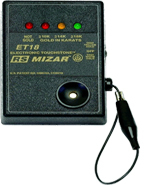 Pocket sized and battery operated, the ET18 comes with a one year warranty. 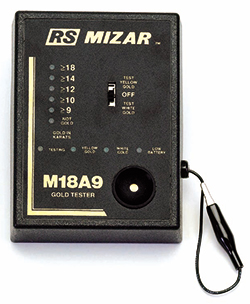 Precisely determines gold karat values, equal to or greater then 9k,10k,12k,14k and 18k. Battery operated and comes with a full two year warranty and initial testing solution and accessories pack.